in the sport of fitness. per day if you choose. in your journey, and celebrate your PRs! been to the CrossFit Games for 10 consecutive years. able to cultivate the ‘Sea of Green' community of support from anywhere in the world. C.J. 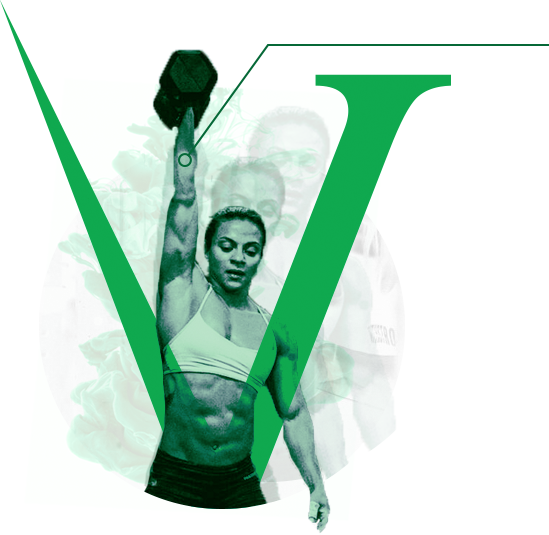 is a Level 4 CrossFit instructor, USA Weightlifting Coach and former member of the CrossFit HQ training team. 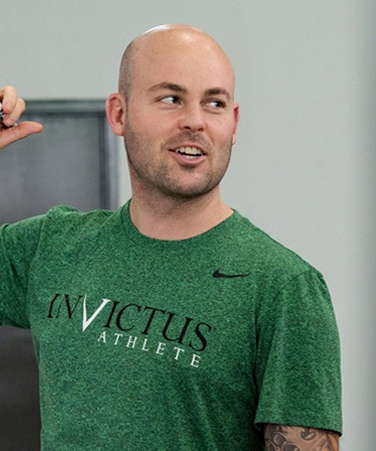 Tino’s knowledge and experience with performance programming has helped Invictus send several Athletes to Games as Individuals, Masters and on Teams. He has also played an integral role in sending a number of athletes to Regionals - including being a 4x Regionals athlete himself. 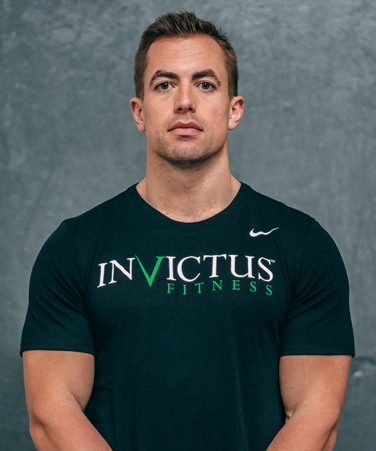 He has an array of certifications through CrossFit, Charles Poliquin, OPEX and REPs.
Tino has been a part of the Invictus community since 2010, when he became an online client through Invictus Athlete. He discovered he had a great interest in programming for athletes and became part of the Invictus Athlete Team in 2012. 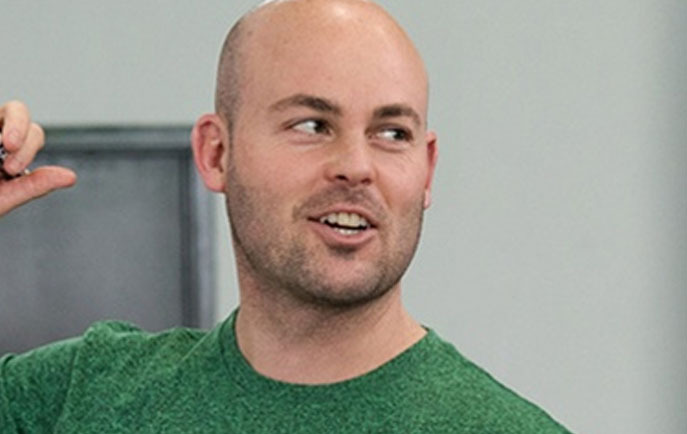 Blaine McConnell is a former D-1 collegiate athlete, having played football at the University of Idaho, while earning his degree in Exercise Science. At his NFL Pro Day, Blaine ran a 4.30 40-yard dash, posted a 45” vertical jump, and an 11’9” broad jump. 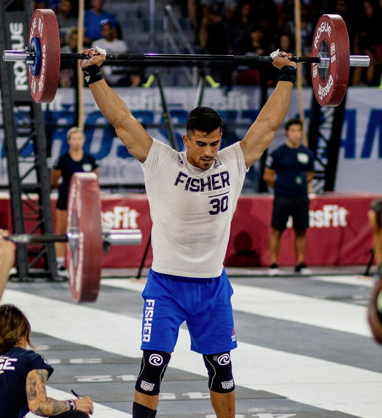 Blaine’s strength and power earned him MVP of the 2016 GRID league and a 6th place finish at the CrossFit Games as a team athlete. 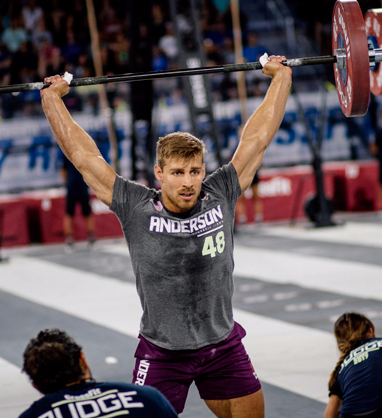 Blaine accredits a lot of his success in the sport of fitness to his knowledge and experience in sport-specific strength and conditioning. Coaching Client, you’ll get a shirt or tank to rock — absolutely free! 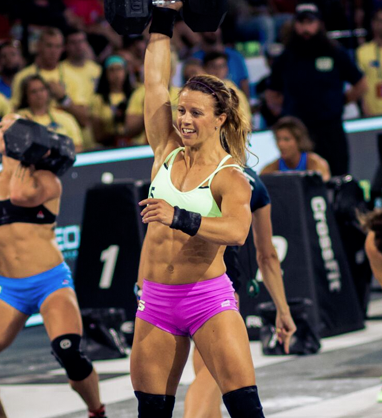 "This has made me into the athlete I am today." I feel honored to call myself an Invictus Athlete, C.J. Martin and the rest of his crew have given me the knowledge and tools to grow and develop both as an athlete and as a person. The programming and mindset is unique and it has made me into the athlete I am today. The supportive community of The Sea of Green is amazing, and I am proud to be a part of it! "Invictus has given me every tool in this sport to succeed." I've been an Invictus Athlete for almost 2 years now and it has been one of the best decisions I have ever made. Invictus has given me every tool in this sport to succeed and I couldn't be more grateful. Invictus is FAMILY to me. "I have not only grown as an athlete but as a person"
I don’t know where I would be if I had never come to Invictus and had C.J. Martin as a coach. He knows exactly what he is doing when he is working with each athlete of a different caliber. I have really grown in the past few years not only as an athlete but as a person through the mantra of what Invictus offers. It’s more than just coaching, it’s a family. "Invictus provides athletes with some of the best programming and coaching in the world"
It is an honor to represent the Invictus name on and off the competition floor. Invictus provides athletes with some of the best programming and coaching in the world, period. They have always provided me with the necessary tools to approach all things the CrossFit Games and life throws at me. WHAT DOES THE INVICTUS ATHLETE PROGRAM INCLUDE? 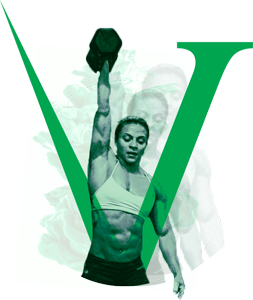 A Structured, Comprehensive Training Program – We touch upon every element of fitness needed to compete, including all facets of strength and energy system development, gymnastics skills and strongman-based training. Invictus Athlete will offer multiple training sessions 5 days per week, as well as active recovery sessions programmed on Thursdays and Sundays. Our program is built upon principles of progression, structural balance and periodization. Every element of the training program has a purpose, and we take care to ensure that the elements of the program complement each other rather than interfere. Feedback from Expert Coaches – Our staff of coaches will be constantly engaging with members of Invictus Athlete to answer questions and provide feedback on results posted. We’re committed to being accessible to provide advice and guidance to help each athlete get the most out of their training experience. 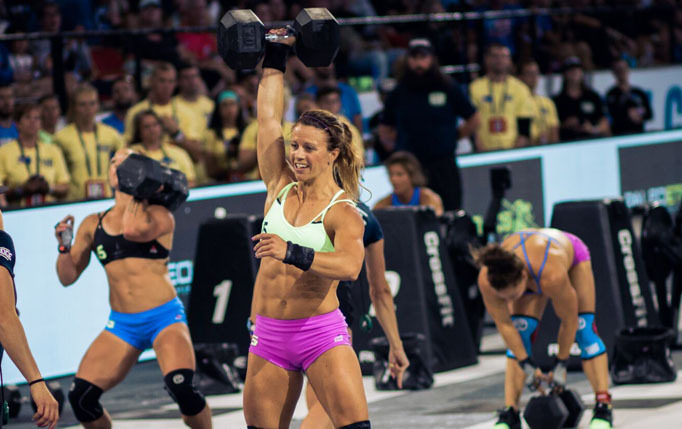 Each member of the Invictus Athlete coaching team has either participated in the CrossFit Games as an athlete, or has coached multiple individual athletes to the CrossFit Games. Instructional Videos – We have and will continue to build a library of instructional videos that will help our athletes better understand how to perform certain movements incorporated in the program. We see many athletes performing good exercises incorrectly, thereby negating any of the potential benefits. We will work to ensure that our athletes understand some of the finer points of the movements included in the program. Training Overviews – Our team of coaches will prepare overviews of what athletes can/should expect in different phases of training cycles. We will share our experiences and thoughts about how athletes should be approaching the training week, certain workouts, and/or recovery methods. WHAT TYPE OF ATHLETES WILL BENEFIT FROM INVICTUS ATHLETE? 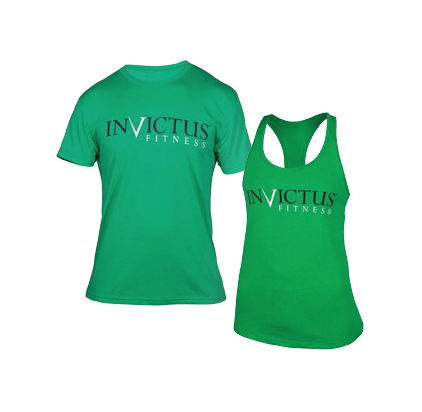 Invictus Athlete is designed for any athlete looking to compete in the sport of fitness. We have built in several options in the training program that will allow athletes to prioritize elements of their fitness that need the most work. Each day incorporates a mix of primary work that all athletes will perform, and accessory options that athletes will select based on their specific needs. IS THE INVICTUS ATHLETE PROGRAM BE A GOOD OPTION FOR TEAMS? Yes. Team Invictus follows the Invictus Athlete program. We’ve always taken the approach at Invictus that to have a strong team, you must have 4-6 well-rounded individuals who get along well and know each others’ strengths and weaknesses. The Invictus Athlete program allows all members of the team to do their primary work together, and allows each individual team member to perform the accessory work that will best suit their specific needs. WHAT DAYS WILL WE BE TRAINING, AND HOW MANY TIMES? Training is 6 days a week: Monday, Tuesday, Wednesday, Thursday & Saturday with options for multiple training sessions per day. Sundays are designated for active recovery. CAN I JUST DO ONE LONG SESSION INSTEAD OF MULTIPLE SESSIONS THROUGHOUT THE DAY? Yes. In our ideal world, every athlete would divide the training into two or more sessions. However, we understand that most working professionals don’t have that option. The Invictus Athlete program lists out options for athletes to prioritize their needs and customize their training. If you’re only going to be able to train one session, we encourage you to prioritize the day’s work that you most need rather than trying to jam in every element of the day’s training if it’s not a priority for you. WILL I NEED TO HAVE ANY SPECIAL EQUIPMENT TO FOLLOW THE INVICTUS ATHLETE PROGRAM? No. 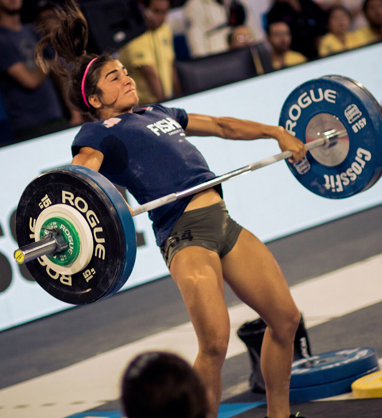 The bulk of the program will incorporate equipment used in the CrossFit Games Open – including a Concept 2 rowing machine. The nutrition needs of athletes are highly variable and dependent on many factors outside of training. While we may provide some basic guidance and/or examples of how some of our athletes fuel themselves, we will not be providing nutrition coaching as part of the Invictus Athlete program. WHEN WILL THE INVICTUS ATHLETE PROGRAM POST WORKOUTS FOR THE NEXT DAY? The training for the next day will be posted daily at 8:00 p.m. PST. WHEN CAN I JOIN INVICTUS ATHLETE, AND HOW MUCH DOES IT COST? You can join Invictus Athlete any time! The cost is $79 per month. There are also 3-month and 6-month options that give you extra savings. You will be billed monthly. If you ever need a break from training, you can simply cancel any time before your billing date and you will not be charged for the next month. You can join back up whenever you’re ready to start training again. WHAT'S IS INCLUDED IN INVICTUS ATHLETE PLUS THAT’S NOT IN INVICTUS ATHLETE? You will be assigned an Invictus Coach and have direct email access to your Coach who will review your goals, ability level and the time you have for training. You’ll be given a Google Sheet to record your results on that will be reviewed by your coach. You’ll also get weekly check-ins with your coach and be able to email videos to your coach to review and give feedback on form and technique. Invictus Athlete Plus includes Invictus Athlete Programming. WHAT IS PERSONALIZED REMOTE COACHING? You will work directly with your Invictus Athlete Coach who will create a personalized program for you week to week. Your coach will learn what your goals are, and where you’re currently at with your fitness. Your coach will provide feedback and review you videos and results each week to make sure you’re continuously progressing. You will communicate directly with your coach over email and phone. WHAT KIND OF ATHLETE BENEFITS FROM REMOTE COACHING? You will benefit from personalized program design and remote coaching if you’ve hit a training plateau and/or you’re ready to get to the next level of training. If you can’t train with us in San Diego, this is the next best thing -- you’ll get direct and quick feedback and coaching from your coach. HOW WILL I GET MY PROGRAMMING WITH PERSONALIZED REMOTE COACHING? You will be shared on a personalized Google Sheet, where your programming will be shared directly with you. If you have any questions on your account and your subscription, please email [email protected].